It's been three years since the platformer launched on PC. We probably won't ever see Fez 2, but we can console ourselves, maybe, with this surprise, whopping patch for the original game, which has just been uploaded to Steam, three years after the game launched on PC. Update 1.12 whacks in a speedrun mode, better music streaming, and various other tweaks and fixes, as elaborated in this news post over on Steam. To access that speedrunning mode, it appears you have to type in "--gotta-gomez-fast" after launching the game, although the post is a bit vague so I could be wrong.
" 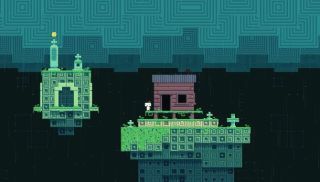 Since I shipped FEZ 1.11 I had little intention of making additional fixes or features to the game because I simply don’t have the time with a kid and a fulltime job… and working on FEZ is getting old after 9 years. So I did want to address problems that people have with the game, but I don’t want to do it for the rest of my life. I had spent enough time away from the game that I was somewhat enthusiastic about coming back to it, especially if it’s at my pace, and that it’s my last time doing so."